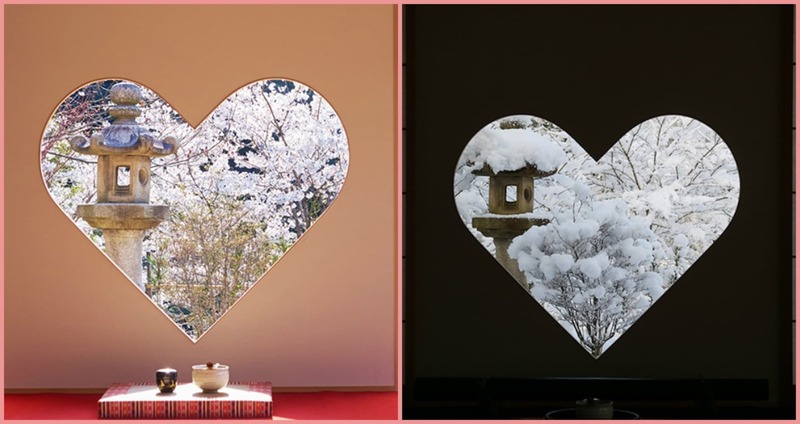 In the guest room of Shojuin Temple is a ❤-shaped window that beautifully frames the outdoor scenery, whether it’s the cherry blossoms of spring or the foliage of fall. And throughout the day, a “heart-shaped” beam of sunlight moves across the floor. It’s seemingly the ideal spot to feel the love. Except it has nothing to do with love or hearts in the way we’ve come to associate with the symbol. The Inome Window is modeled after the inome (猪目) symbol, and literally means “boar’s eye.” It’s thought to have originated from the shape of a the eye of a wild boar, and has been around for over 1400 years in Japan. 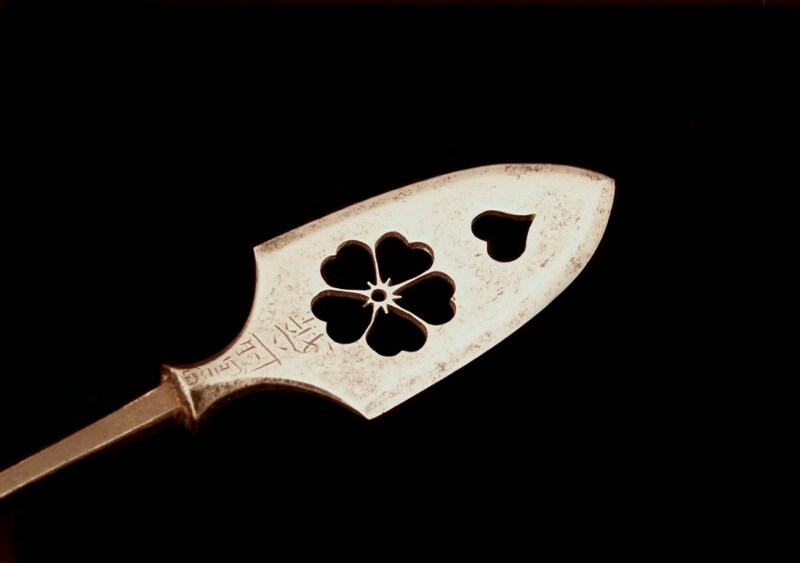 It’s used as a decorative symbol that’s often carved into temples and weapons like spearheads and the handguards of swords. For more information on the origin or the inome symbol, and the temple inadvertently offering couples the perfect photo-op, read the full story at Spoon & Tamago via the link below!